PRESS RELEASE: Plymouth, Mass. – June 6, 2018 – A group of inspiring young people will join Jett Foundation, a non-profit organization dedicated to awareness and helping fight Duchenne muscular dystrophy, and its Go! for Duchenne athletic initiative for the 10th annual JettRide July 12th through 29th. This annual cross country bicycling tour for teens–sponsored by Perky Jerky® and Shea Concrete Products–spreads awareness, raises funds, unites families, and inspires communities to join riders in fighting Duchenne. Duchenne is the most common lethal genetic disorder of children worldwide affecting 20,000 young people in the United States. It is a progressive, life-shortening neuromuscular disease that causes the loss of muscle function and independence. The JettRide cyclists will start their journey in Alexandria, VA and will ride about 50 miles per day for three weeks on their journey to the finish line in Plymouth, MA. Each night, JettRiders spend time with local families along the ride route impacted by Duchenne muscular dystrophy. At the finish line on July 29, riders will be joined by family, friends, and community as they round out the last leg of the JettRide and celebrate their strength and endurance. 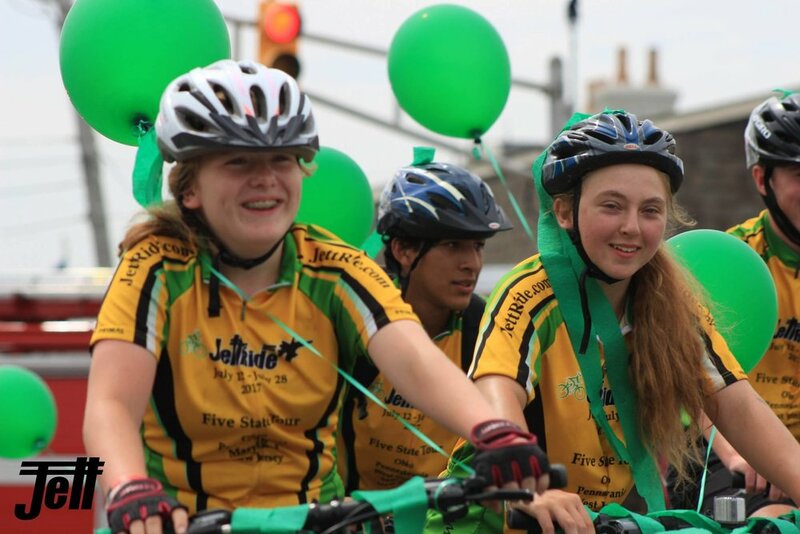 Over the past ten JettRide tours, 110 young riders have cumulatively rode 128,000 miles­–enough miles to circle the Earth over five times­–and raised nearly $300,000 toward Jett Foundation’s education and direct service programs for patients and families, advocacy work for policies that expedite drug development, and support of Duchenne research. To learn more about Duchenne or to get involved with the foundation, visit jettfoundation.org.